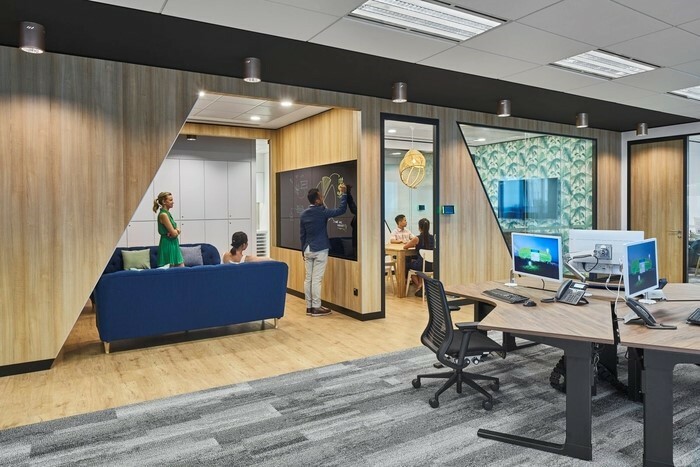 The world of workplace design has undoubtedly shifted from a traditional focus on functionality and maximising headcounts to becoming an increasingly staff centric exercise. Today, the office is no longer viewed as an inflexible cost centre but rather a space that can have a huge impact on productivity, staff retention and also attracting the very best talent. 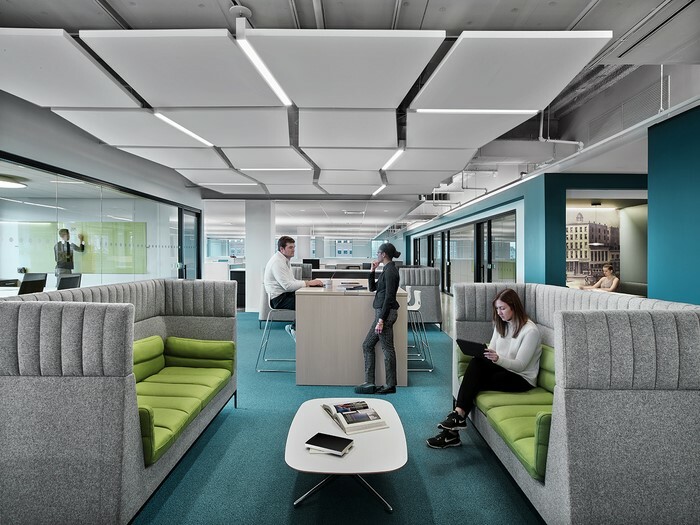 This piece will look at what has caused this shift and how the workplace experience has becoming part of the modern workplace design vernacular. There are numerous articles, studies and research out there that look at the rationale and benefits of embracing a staff centric workplace design, not least on this site where we have spoken about workplace well-being and why office design matters. What we haven’t touched on is the emergence of the workplace experience as a concept and a driver of office design, and how increasingly companies strive to create work environments that cater to the needs of all staff, be they functional, personal or even emotive. This concept has gained such traction that a recent study by Deloitte (Global Human Capital Trends) cites 79% of executives rated workplace experience as a critical issue to improve productivity and enable growth. It’s not difficult to understand why this is the case as home and work lives continue to intertwine coupled with technological advances that further blur any pre-existing boundaries separating the two. When we talk to clients about workplace experience, we often use the analogy of a hotel stay and how your experience as a guest from entering the lobby through to viewing your room, using the facilities, having a meal, interacting with staff and finally checking out is similar in many ways, albeit on a more subconscious level to a staff members daily work experience. Exclusive hotels endeavour to map out their guest journey and to identify potential pain points that could negatively impact their stay, and this is essentially what organisations and office designers are implementing to determine the workplace experience, while also mapping out that journey design. While hotel guests can leave reviews, critical to a hotels success on sites like TripAdvisor, Booking.com or Expedia, reviews from staff relating to their workplace experience are less straightforward and require, in our experience a mix of surveys, interactive workshops and interviews with team members. The output from these qualitative and quantitative methods help to paint a picture of the current experience, identify issues and pain points and crucially allows office designers to make recommendations on how to improve the workplace experience through effective workplace design. There is a wide variety of elements that influence the workplace experience from the quality of tea, coffee and snacks on offer to the ability to store bikes that staff use to commute to and from work to offering spaces for quiet reflection or concentration as well as collaboration and catch ups. Choice and flexibility really are key elements and offering staff both can have a major positive impact on the work experience, so designing an agile workspace that incorporates a variety of spaces designed for different purposes that are also attractive and comfortable is paramount. 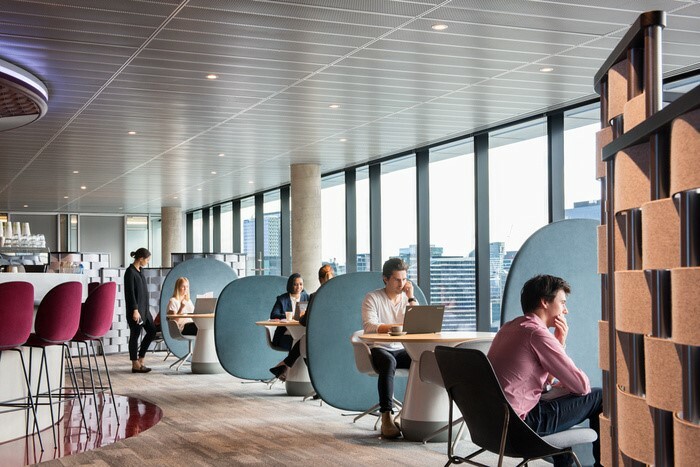 It’s also worth thinking about utilising those ‘third spaces’ abundant in many offices and often unused and transforming them into small booths where staff can take calls or where they can lock themselves away to concentrate without distraction. Many companies have now adopted an activity based working approach (Including a variety of spaces that staff can choose to work from depending on the task) while others consistently reference it within briefs when moving to a new space or refreshing an existing workplace. Our workplace design team absolutely encourage this but also emphasis that there is no ‘one size fits all’ approach when it comes to designing a workplace and the same can be said when mapping out a work experience – while both are intrinsically linked, our approach concentrates on defining the desired work experience and then designing a space that encapsulates the looked-for experience. Defining the work experience is a collaborative process which involves high levels of engagement with staff and can focus on noise levels, lighting, views, air conditioning, textures and finishes, office furniture and so much more. By thoroughly understanding employees’ functional and emotional responses to their work environment, we believe companies can design and deliver positive experiences that support improved organisational performance. It is our belief that buildings and space matter but people and their performance matter more. Great staff deserve a great place to work, somewhere they enjoy coming to and a space that they are proud to show clients and prospective new team members around. Now, close your eyes and think about your own workplace experience and map out your own journey for the day so far; where are your pain points? What could be improved? And more importantly, how can they be improved?